Come take a peak at our science bin that allows preschoolers to explore both the deciduous and coniferous forest. 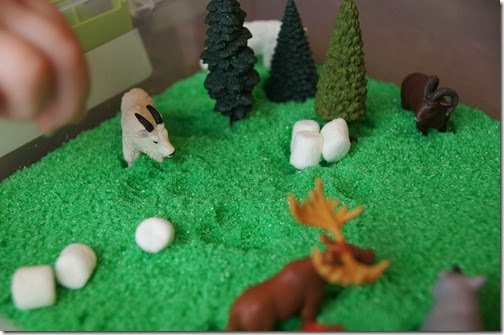 I created this Forest Habitat Sensory Bin to go along with my older kids study of the 50 US States and Habitats (also known as Biomes) in Science. This bin focuses on the deciduous forest and coniferous forest biomes which are present in North America. 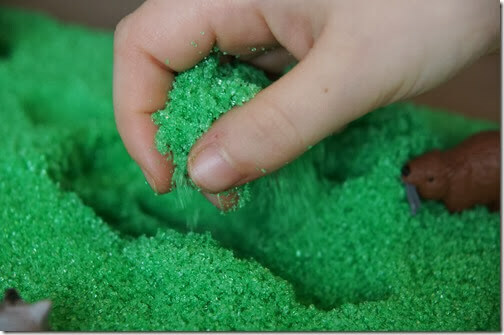 This is a great way for toddler and preschoolers to have some science fun while learning alongside older homeschooled siblings. 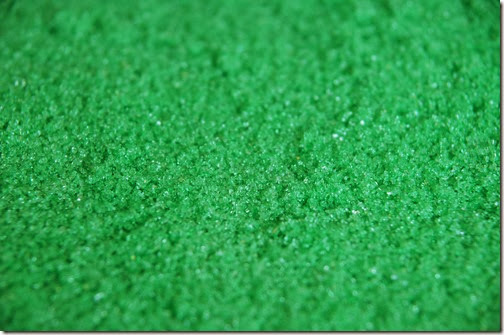 Next we added some North American Animals and North American Trees to our scented homemade sand. We added the deciduous trees (trees whose leaves change color in the fall) to one side along with the animals you would find in that habitat (or biome). 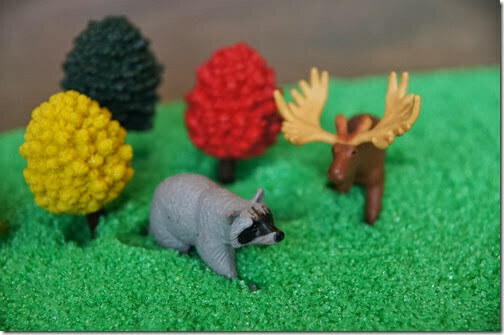 Then we added the North American Animals and North American Trees that belong in the Coniferous Forest (always green and bearing cone seeds) biome next. I gave my toddler some mini marshmallows so she could make it snow. 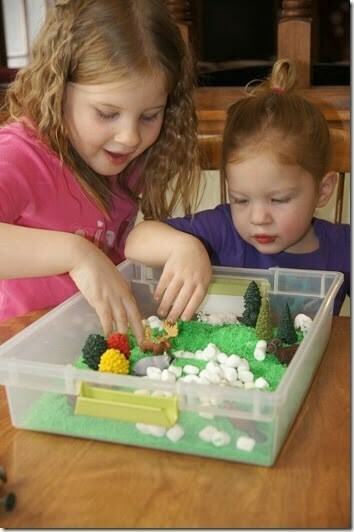 The Habitat Sensory Bin was a lot of fun for my young homeschoolers to explore and learn the same topic as my school aged kids from our Christian Kids Explore Biology Homeschool Science Curriculum.